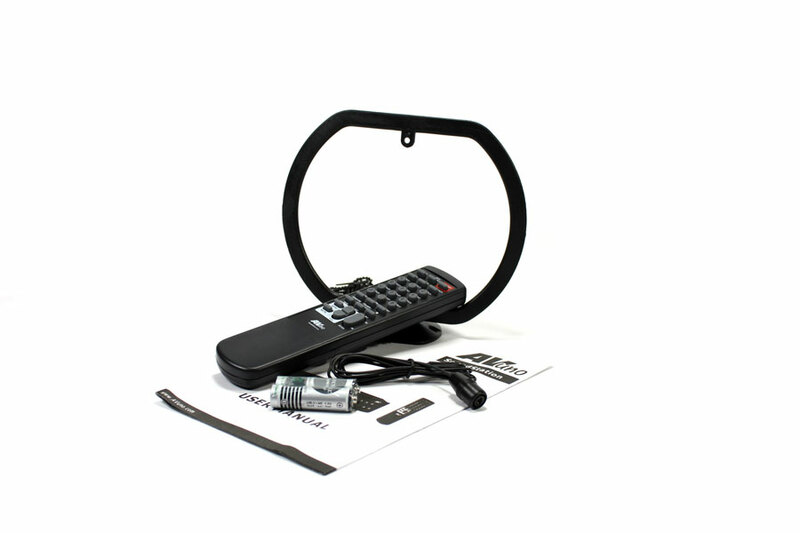 The Soundstation is a high quality 80 watts per channel (RMS) receiver suitable for use in commercial or domestic applications. 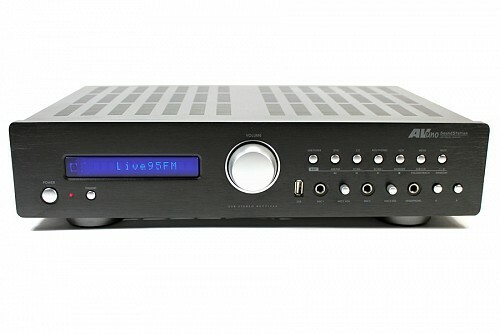 The front panel USB input facilitates replay of music from USB devices, and the Tuner is AM/FM with 64 Pre-sets and RDS display. There are 4 dedicated music inputs, one of which can be switched for use with a turntable. Two microphone inputs are provided for speech reproduction, each with independent volume control. 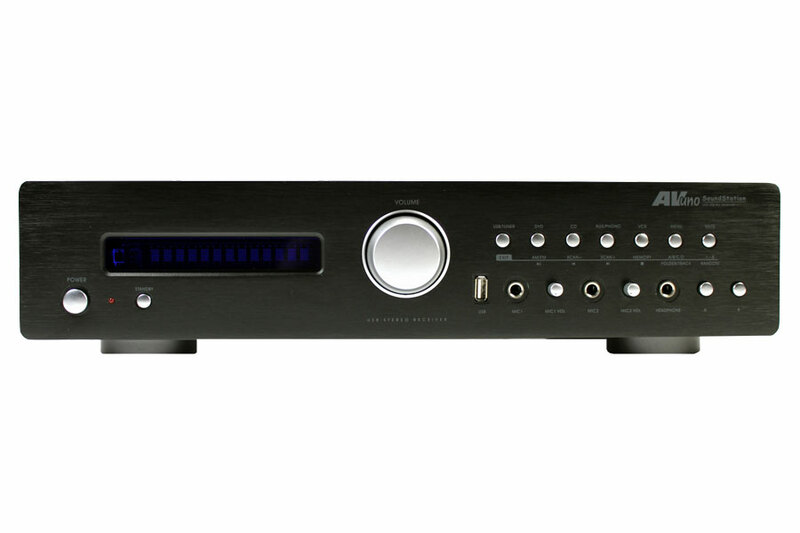 The two pairs of speaker outputs, A and B, can be used simultaneously if required. 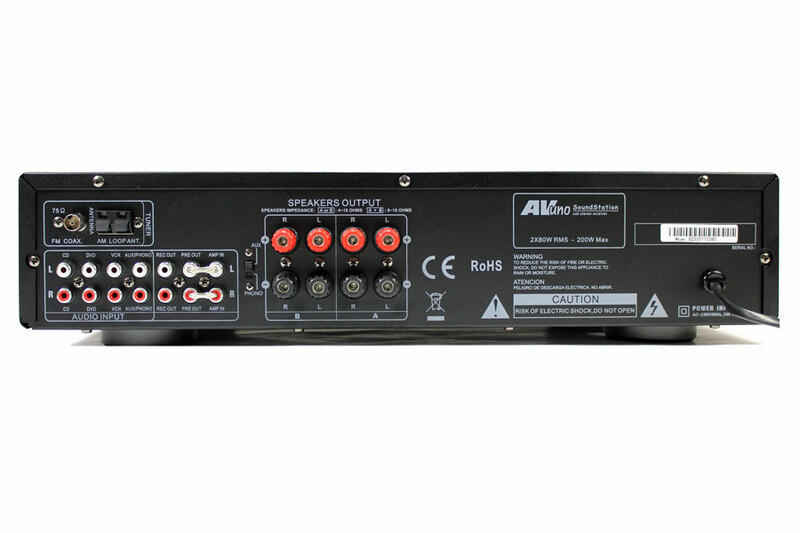 The large central volume control gives precise adjustment and control while bass, treble and balance settings are menu controlled and shown on the large fluorescent display. Record Out, Pre Amp Out and Amplifier In connections are also provided. With a full function remote control and elegant modern styling this is an ideal one box solution for most everyday applications.